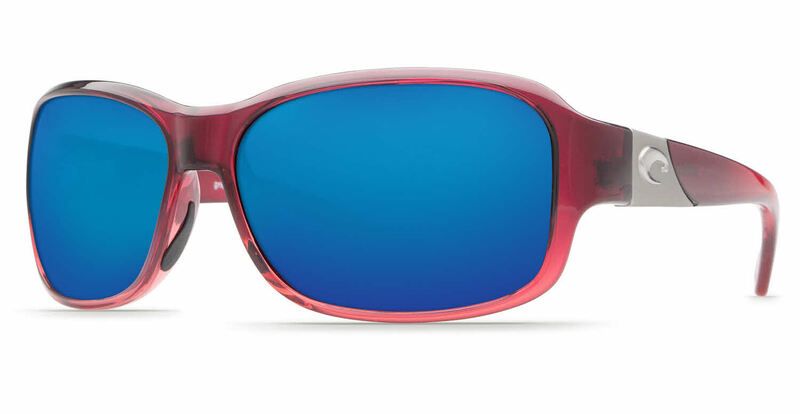 These Costa Inlet RXSunglasses flatter people with the following facial features: Thin Face. Ideal for usage with: Fashion, Everyday Driving, Water Skiing, Fishing, Salt Water, Fresh Water. Costa Inlet RXSunglasses come with a cleaning cloth and protective carrying case. The Costa Inlet sunglasses are the second pair of prescription Costa sunglasses that I have ordered from Frames Direct. I have very dry and sensitive eyes so I need sunglasses that give great coverage from wind and sun. I also have a fairly small face and I can't stand glasses that slip on my nose...so I'm very picky. These sunglasses are amazing! I already own a pair of Tippet glasses in 580 P polycarbonate ,which I adore, but for the Inlet I decided to try The 580P Trivex and I am so glad that I did. I think that they render even greater clarity and are a bit lighter and more comfortable. My Costa sunglasses are my absolute favorites!